The romantic and dreamy cityscape of Paris is what makes this European destination on top of most travelers’ wish list. Why not? The capital city of France boasts a lot of attractions that serious travelers should see at least once in their lifetime. There’s the Eiffel Tower of course, which is the most popular monument of France; the Louvre, a museum that houses the Mona Lisa and was made more famous by the book-turned-movie Da Vinci Code; Moulin Rouge, which is another place that was put in the limelight because of a similar-titled film; and plenty of museums, cathedrals, and other places that truly define Paris as the cultural center of France. The Charles de Gaulle airport is about an hour away from the city proper. My mom and I took the train to get to our hotel since it is the most economical mode of transportation and such a time-saver too. Just a warning though, it can get a bit tough when you go up and down a flight of stairs when you’re lugging around a 20-kilo bag, but we managed anyway. I’m impressed that my mom was able to do so since she has over 30 years on me. We booked a room at the Holiday Inn in Gare de L’est, which is located just across a main train station. It’s very convenient to stay near a train station because it makes it easy to get around the place. But before we headed out again, we grabbed a couple of city maps from our friendly receptionist and worked out our itinerary for our weekend in Paris. Imagine trying to fit all the main attractions in our weekend schedule… It’s really impossible to do, so you have to choose which ones you really want to visit and prioritize them. I suggest that first-time visitors should check out the major tourist attractions, while the seasoned travelers may go anywhere they please. Here’s my write-up about a local raw food/vegetarian restaurant, which was featured in WMN.ph, July 21, 2010. Tickle your taste buds with a different kind of dining experience at Rawvolution – Cheloy’s Living Food Cuisine. Food: Health buffs would surely appreciate the variety of nutritious dishes at Rawvolution, which is the only restaurant in the country that serves purely raw and vegetarian cuisine. Although I am neither a vegetarian nor a raw food enthusiast, I dared to try it out to see if I would enjoy being one – at least for the duration of one meal. To start off, I ordered the Green Smoothie, which came in a very vibrant green color. I was told that it is mostly made out of vegetables, but it tasted predominantly of banana so I really liked it. I also tried one of their bestsellers, the Portobello Mushroom Steak with rosemary and garlic mashed potato, and thought that it surprisingly tasted really meaty and was actually filling as well. The mashed potato, though, could have been better, as this came off as somewhat bland for me. Other notable dishes are the Mock Salmon Pate, Asian Sushi Rolls, and Fettuccini Alfredo. The thing about raw food is that you shouldn’t expect it to be served piping hot, as it is not cooked so you’ll get to maximize its nutritional benefits. 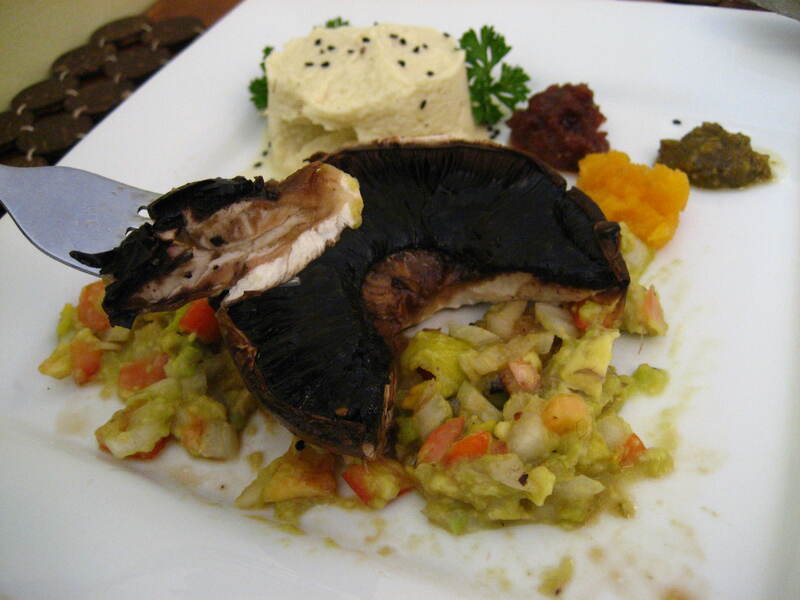 For those who are not quite prepared yet to go raw, the restaurant can prepare cooked vegetarian meals for you. A must-try is their vegetarian bihon. Price: The raw food dishes can be a bit pricey, but you really have to spend for something of good quality. 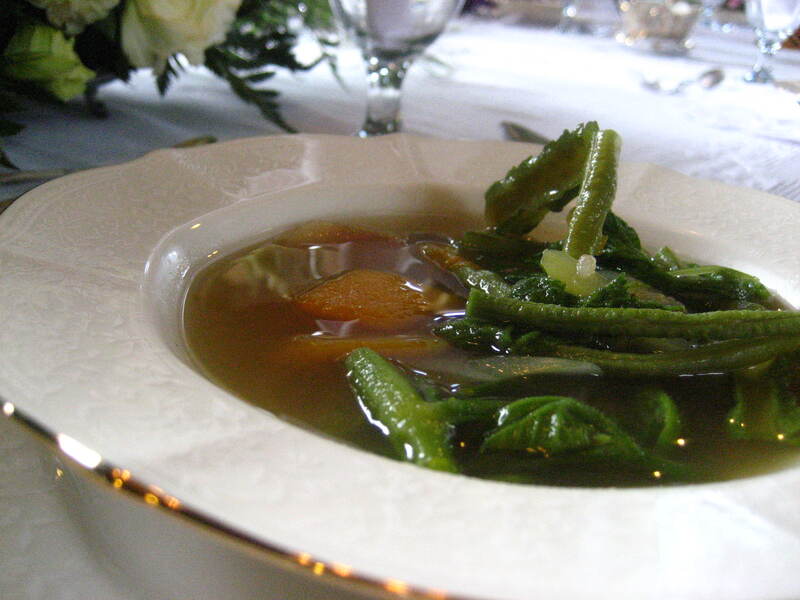 Main course dishes range from P380 to P580, while vegetarian meals are reasonably priced at P120 to P280. 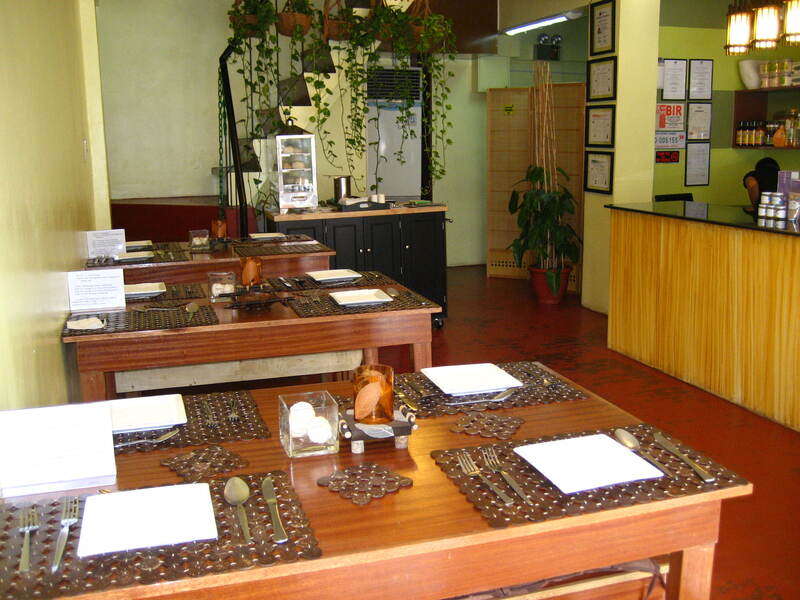 Ambience: This quaint eatery is the perfect place to have a casual meal with your family or friends. It has a homey atmosphere with local decor such as wooden furnishings, native place mats, decorative ferns, and even whole cloves of garlic as its table centerpiece. Parking: There’s ample parking at the front and side of the building. Service: I was warmly greeted by the chef-slash-owner as I entered the restaurant, and the staff was very attentive. They can also be very accommodating when you ask them about the menu so do not hesitate to do so. My usual sojourn during summertime is a trip to the island paradise called Boracay, where the sand is as white as it can be, the waters as clear as crystal, and the beach – well, it’s just hot in every sense of the word. For me, it’s the ultimate travel destination during the sizzling summer months. I’ve been going there since I was probably around six years old, when the island was still undeveloped and we practically had the beach to ourselves. Back then, we just stayed at a quaint nipa hut cottage with simple furnishings and without electrical power. Boracay has gone a long way since those days. Aside from having electricity installed, it now has a variety of first-rate resorts, diverse cuisine choices, and has even become the top pick in everyone’s beach destinations list. During my last few visits there, I noticed that there was an influx of tourists from all over the world – Asians, Americans and Europeans. Apparently, it has become well known to them, too. And it’s not just Boracay, I’ve heard a lot of tourists have discovered other places of interest around the country as well. From Boracay to Cebu, and Camarines Sur to Palawan, there has been a regular flow of tourists to these popular places. Well, there are a variety of local airlines to choose from. There’s Philippine Airlines, Cebu Pacific, and Zest Air, to name a few. I’ve ridden in all of them and I’m proud to say that I have arrived in my destination safe and sound, each and every time. Now, what’s this I hear about the European vacationers being discouraged by their governments in flying with Philippine aircrafts? For some reason, last March 30, the European Commission has put the aviation group of the Philippines under its “watch list,” which entails a ban on all air carriers from the Philippines to fly in and out of Europe. In effect, the European tourists would not be able to obtain travel insurance when flying with a Philippine aircraft to the other islands. This has, unfortunately, greatly affected the tourism industry of the Philippines. A lot of Europeans who had booked their travels to the Philippines during the past travel fairs in Berlin and London have already cancelled their bookings. The local tour operators are now resorting to finding alternative ways to resolve this situation. European tourists can still head to their dream destinations either by land or by sea, although it might take them longer to get there. The Department of Tourism is actually working on making the land transfers to the usual travel spots a more enjoyable experience for tourists. And another option is to take other international air carriers to get them there. Did you know that you could now go to Boracay or Cebu by flying with Cathay Pacific, Qatar Airways, Silk Air or Malaysian Airlines? What makes these airlines more reliable than the local ones? Have you heard about the recent incident with Cathay Pacific? One of their flights from Surabaya, Indonesia had to make an emergency landing at the international airport in Hong Kong. It is believed that the plane’s left hand engine had shut down as it approached Hong Kong. During the landing, all the tires on the plane’s left side, as well as two from the right side had deflated. The tires actually automatically deflate to prevent them from rupturing during high energy braking and other similar situations. This incident had caused injuries to eight passengers on board. Now, should this deter you from taking future flights with Cathay Pacific as well? I admit, I have been complaining about Boracay becoming more crowded every year, but I know that it’s a good thing, especially for our tourism industry. And if I can safely get there via local aircraft, why couldn’t European tourists also do so? I have traveled to different destinations with local airplanes – from Hong Kong to China, and Thailand to Singapore, and I believe our aircrafts are at par with other Southeast Asian airlines. Although I must admit that Philippine air carriers still have a long way to go compared to the more established airlines like Lufthansa and Singapore Airlines. For instance, there are no airlines in the Philippines that have 202 travel destinations like Lufthansa, which also happens to be Europe’s largest airline in terms of the number of overall passengers. While Singapore Airlines was the first one who introduced a “Class Beyond First,” where the plane seats can be fully reclined and transformed into a flat bed. Now that’s traveling in style – and comfort! The Philippine air carriers may not offer the same features, but they can still get you to your travel destination unscathed, whether you’re a local or not. Whether you’re flying to the Mediterranean or jetting off to New York City, the T-Tech collection by Tumi is the ultimate traveling companion. This new luggage collection (starts at Php 24,790 / US$509) has a set of hard cases that is relatively lightweight but very strong and durable. It’s so sturdy that even if you put 100 pounds of weight and take it for an eight-hour walk, its wheel system will still roll smoothly. It doesn’t hurt to know that many famous personalities use Tumi bags as well — one of whom is President Barack Obama, who carries around the Tumi Alpha Leather Briefcase. 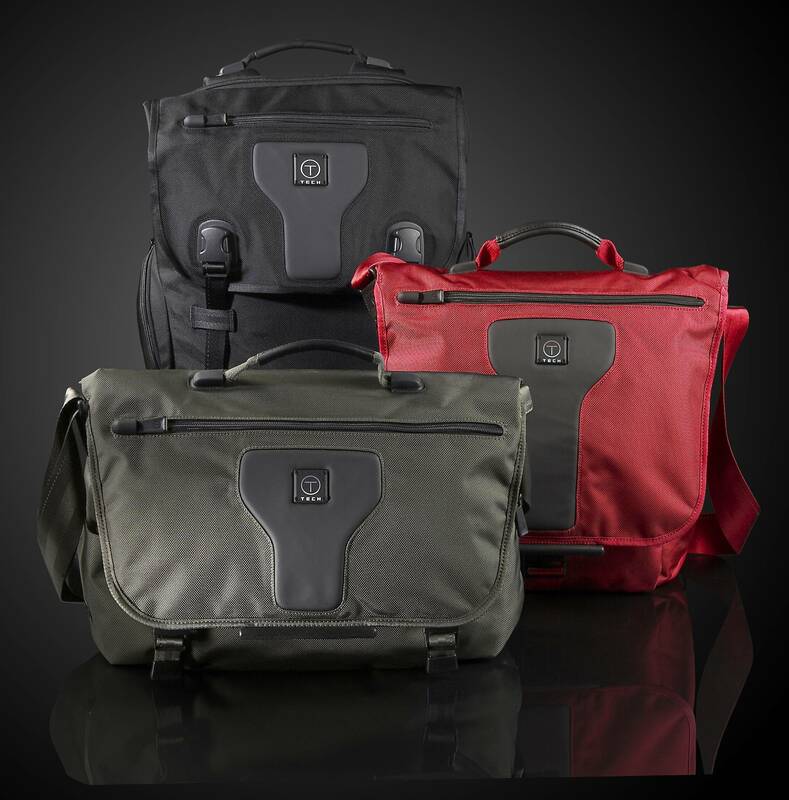 Tumi T-Tech is available at the Travel Club branches in the Power Plant Mall, Ayala Center in Glorietta 4, Alabang Town Center, Ayala Center Cebu, SM Mall of Asia, Trinoma, Shangri-La and Flight 360 at the Podium. Forget about the volcano for a day. To learn about Taal, Nikka Sarthou decided to walk through its quaint streets lined with historical ancestral homes. Did you know that Taal was considered the second most important city during the Spanish era? Even though it was not able to maintain its pre-eminent stature like Manila, Taal boasts a rich history with its involvement in Philippine politics, economy and society. I joined La Isla Pilipinas’ Taal Experience tour to visit this historic city. It took us more than two hours to get there as we passed through the more scenic route in Tagaytay. I realized we were there already when I saw 19th century Spanish-style colonial houses along the narrow roads. This was built during the early 20th century. 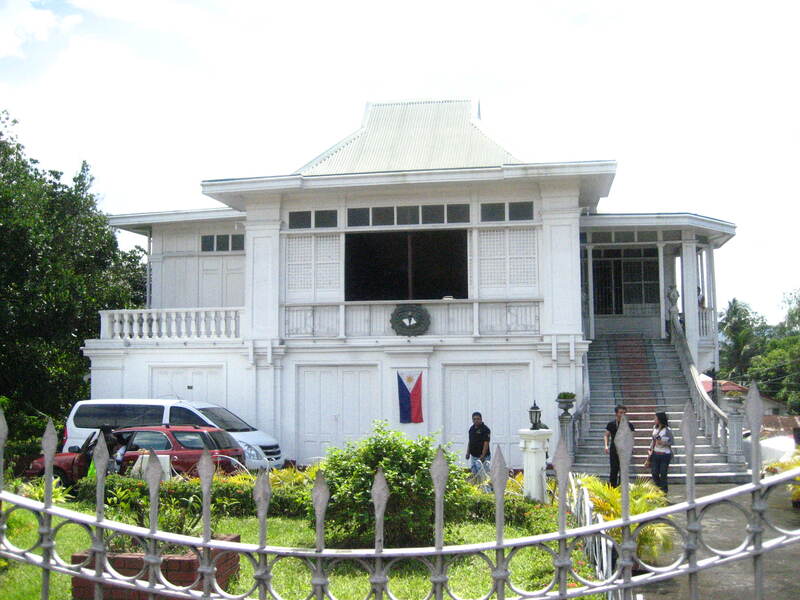 Agoncillo was a prominent banker and his affluence was apparent in his home with its Edwardian chandeliers and custom-built furnishings. stone, with imported tin ceilings, and other fine pieces of furniture on display that were all well preserved. While we were there, a balisong (butterfly knife) maker showed us how the country’s most famous weapon is made. Although the origin of balisong is uncertain, the definite thing is that it could be a very lethal weapon, whatever size it may be. It is usually made out of Damascus steel and other materials like horse bone, deer antler or wood. In the same place, we saw how the unique burdang (embroidery) Taal is created. With this skill, the Taaleños could make intricate detailing in clothing wear and accessories by doing their special hand embroidery. We also got a taste of the flavorful Taal cuisine as lunch was served inside the grand dining area of the house. We were treated to a buffet meal that consisted of bulanglang (light vegetable soup), adobong puti (stewed chicken with turmeric), tapang Taal (marinated beef), and suman (sticky rice) with chocolate-eh (Batangas hot chocolate). This Blessed Virgin is said to have miraculous powers. I went inside the church and took a chance by touching the image and prayed for a miracle. This is the largest church in Asia. It measures 88 meters long, 44 meters wide, and 95 meters high. I had a difficult time trying to fit the image of this imposing structure in my camera screen. This place features many great finds – from handmade barong Tagalog and embroidered tablecloth, to special suman and cacao tableas. I just had to grab a souvenir for me to take home. They say that you shouldn’t order anything you can’t pronounce, but that should not be the case with Il Ponticello. For 10 years now, this Italian restaurant has been serving authentically prepared traditional Italian cuisine, but now they’ve added some dishes with a modern twist. The Branzino Tartufato E Risotto Rosso or simply put — truffled wild seabass with beetroot risotto — is a recommended dish. The freshness and tenderness of the fish perfectly complements the flavor of the risotto. 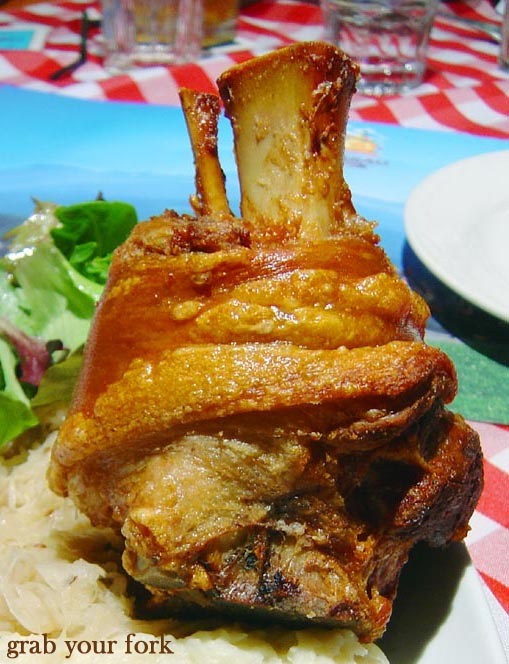 Best to hit this restaurant in the evening so you can enjoy listening to the live bands or the house DJs while savoring some good ol’ or new Italian dishes. Il Ponticello – 2F Antel 2000 Building, 121 Valero Street (corner Rufino), Salcedo Village, Makati City; tel. nos. +632-8877168, +632-8874998; Open Mondays to Saturdays 12:00 – 2 p.m. and 5 p.m. onwards. Popular for their wood-fired brick oven dishes. 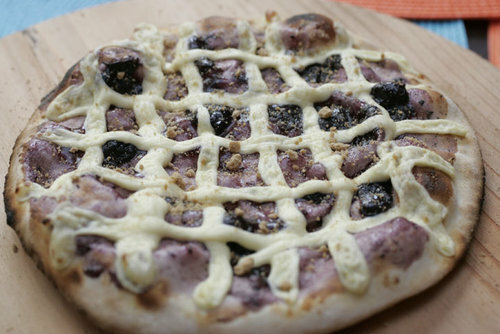 Must-tries: Puchon or brick oven style lechon kawali (pan-roasted pork) with soy vinaigrette, and the scrumptious dessert pizzas like the Blueberry Cheesecake Delight. Chi’s Brick Oven Kitchen – Unit 105 Aguirre Ave., B.F. Homes Paranaque City; tel. no. +632-8207210; website brickovenkitchen.multiply.com. Closed on Mondays. Cool, urbane, with white-colored light balls adorning the ceiling. Grab some tasty dimsum treats and mingle your way into Porcelain’s bar. Feel like taking a punch? Order the Pacquiao Punch — a splendid mix of brandy, tequila, rum, vodka, gin, orange and pineapple juice, and more — a total knock-out. Best to drop in during Crazy Hours, from 5 p.m. to 12 a.m.
Feel Parañaque’s easy and steady southern atmosphere, away from the hustle and bustle of the north. Food: Missing the taste of a good home-cooked meal? Goodah!!! dishes up classic Filipino comfort food to please your palate. 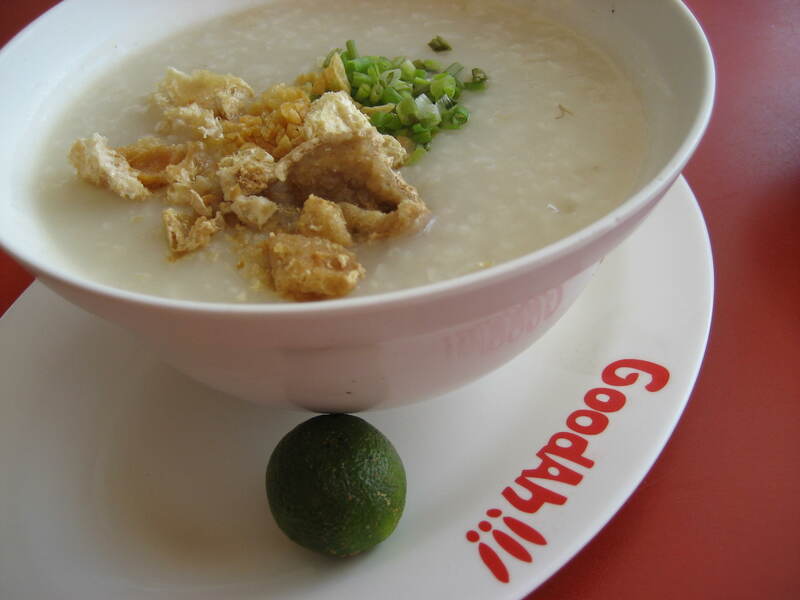 Chose from such affordable dishes as Goto (35 pesos or 80 US cents), Arroz Caldo (55 pesos or US$1.20), Pares, Dinuguan (69 pesos or US$1.50, Classic Tapa, Tokwa, and many more. Their solo servings are enough to fill your stomach but they won’t put a hole in your pocket. Ambience: Very informal in an al fresco setting. Crowd: Employees from nearby offices to barkadas (peer groups). Solo diners eat in the counter; customers in groups occupy the surrounding tables. What to Expect: You can sample a selection of classic Filipino dishes without paying a fortune. various gastronomic delights from its scrumptious buffet and in its different restaurants. Some of the restaurants have personnel who go around and offer free food-order service to casino patrons, but you’ll need a casino card for it. Ambience: Very lively and fun atmosphere. ng people also play in the gaming tables. What to Expect: You can spend all day and night playing internationally-recognized games like Baccarat, Blackjack, Roulette, Craps, Big & Small, Pai Glow Poker, Super 6 and the Slot Machines. You can also join the Bingo games in the afternoon or watch the nightly entertainment shows from 6pm onwards. time of the day. The most popular one is Tapsilog (49 pesos or US$1.10), a combination of beef tapa flakes, garlic rice and sunny side-up egg that’s best eaten with their chili vinegar. You can also choose from Tocilog (sweet pork), Chosilog (chorizo), Hotsilog (hotdog), and several other delicious dishes. Ambience: No air-conditioning but very airy and has a relaxed vibe to it. Crowd: Anyone who enjoys eating Pinoy breakfast meals, from teenagers to family groups. 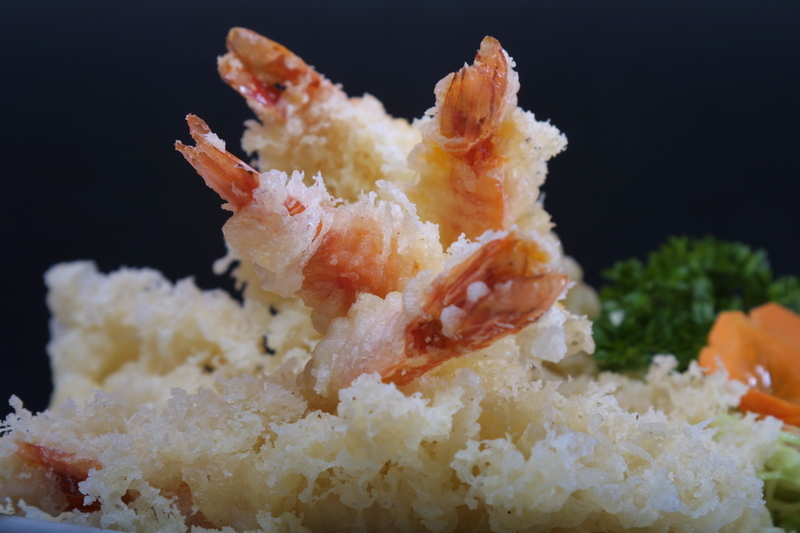 What to Expect: You get value for your money with the economical and tasty dishes as well as the quick service.